Great Britain has its own version of the Bermuda Triangle, the notorious South Southeast 1650 Line, where an unusual number of aviation accidents and disappearances have taken place, and where lost airmen and their aircraft are occasionally to be seen in flight decades after their disappearance.Hard-headed American aviation enthusiasts may be surprised to learn of the level of interest in psychic phenomena among their British counterparts. The RAPs Air Marshal Dowding was a noted believer in spiritualism and Buckingham Palace has on occasion ordered discreet RAF investigations of UFOs.lt is at SSE 1650 where the real aviation mysteries are to be found. Were certain British aircraft, such as the Fairey Battle and Bouton Paul Defiant, cursed? Does a phantom night-fighter guide home lost RAF crews even today? Was the wartime fatal crash of a member of the Royal Family actually a pagan sacrifice to hold back the invading Germans? 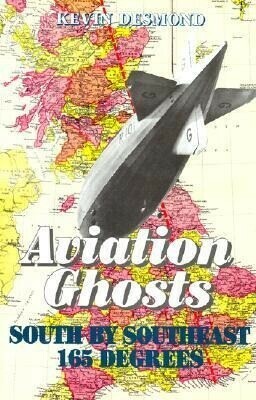 These are some of the continuing questions about Britain's aviation ghosts and curses which receive their first in-depth investigation in this fascinating volume.